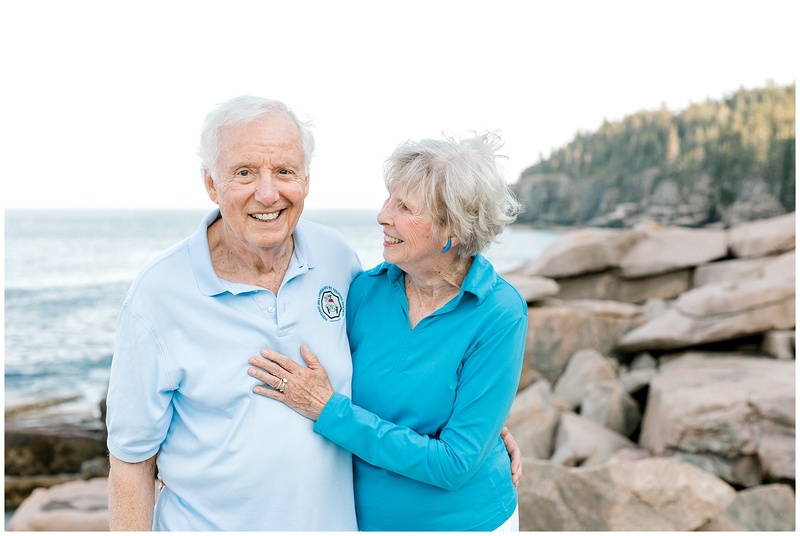 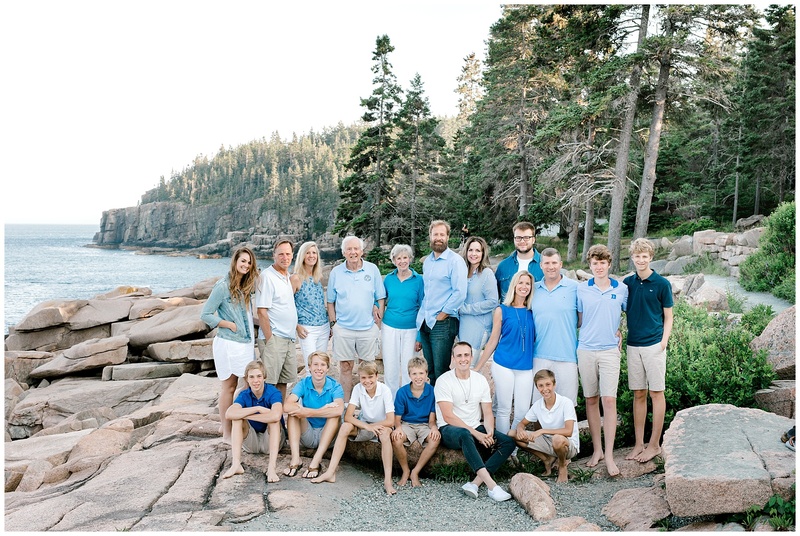 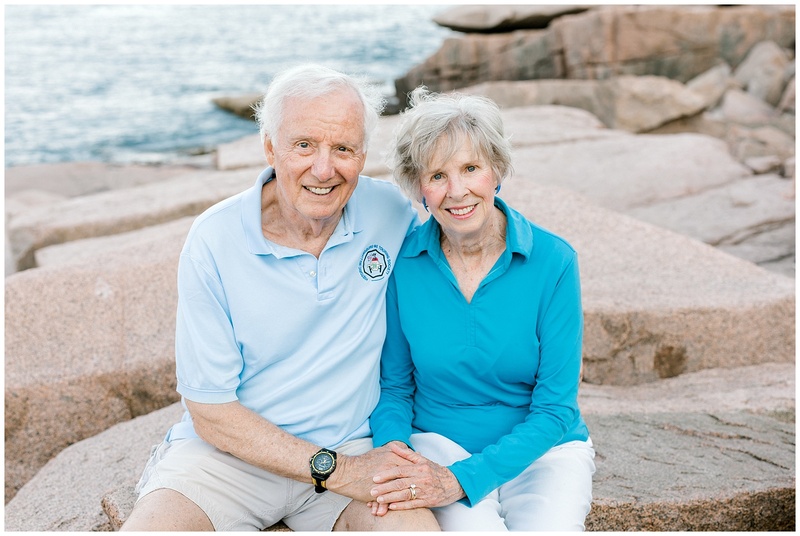 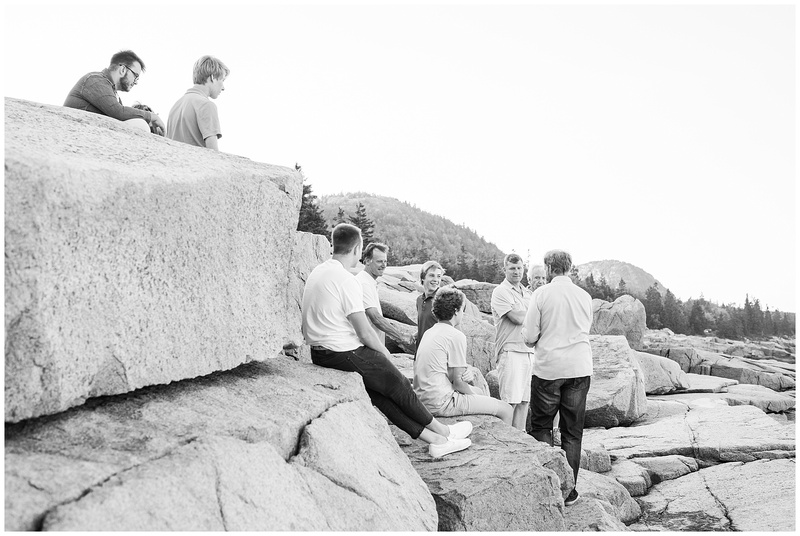 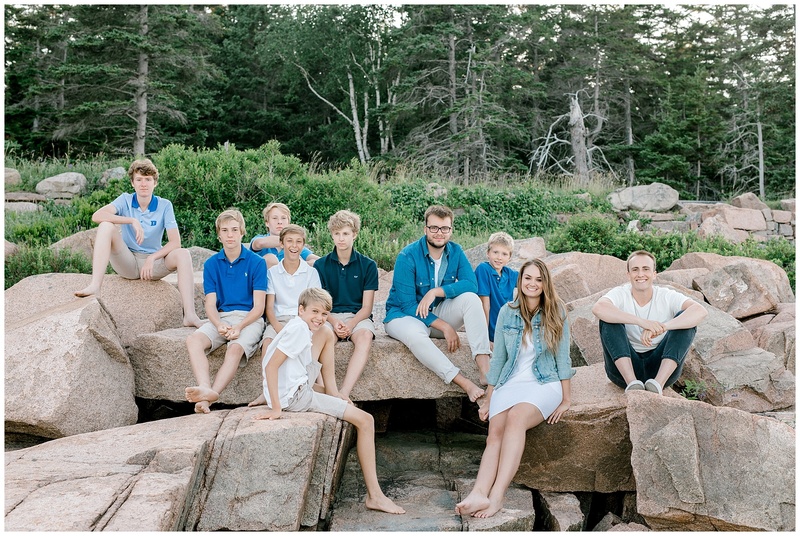 The Thaler family traveled from all over the country to come together in Acadia National Park to celebrate their grandfather’s 80th birthday! 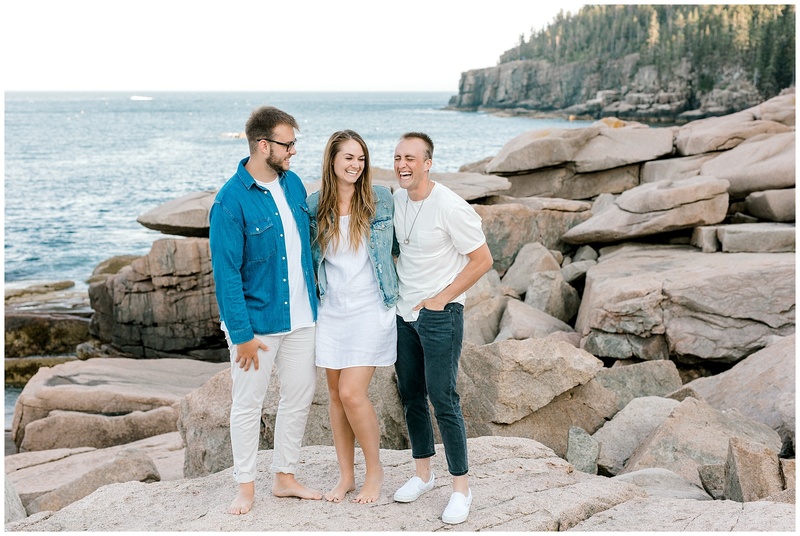 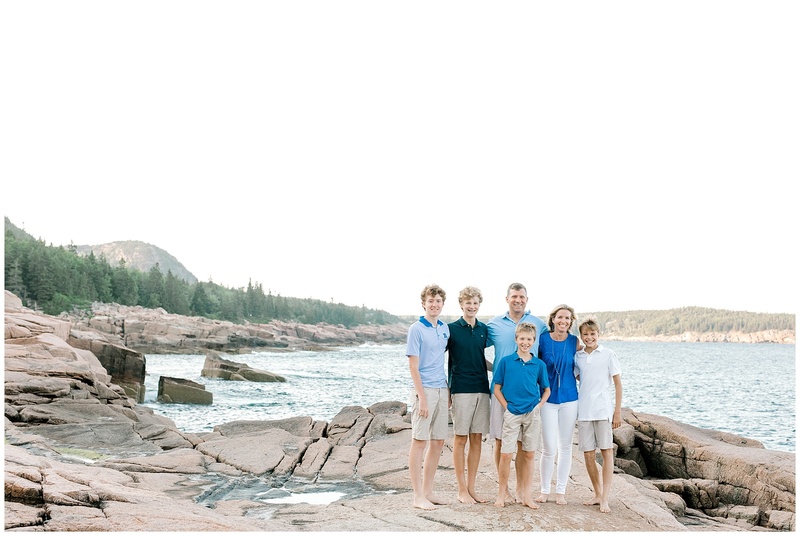 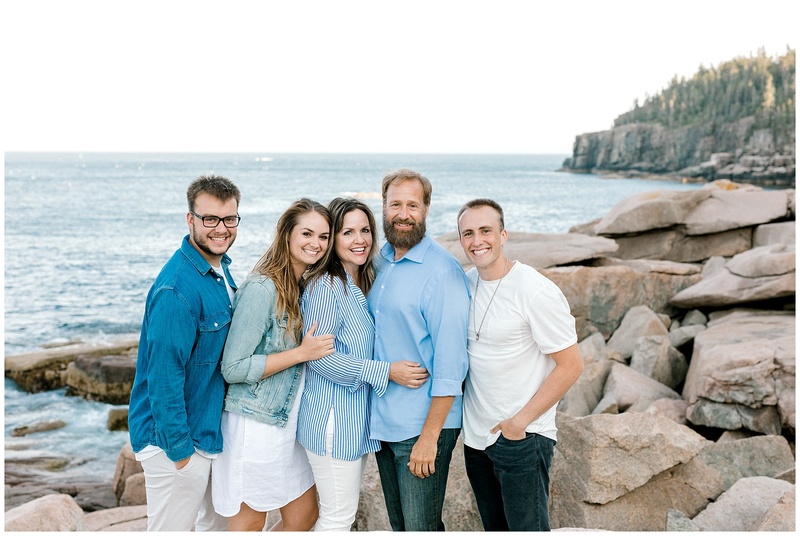 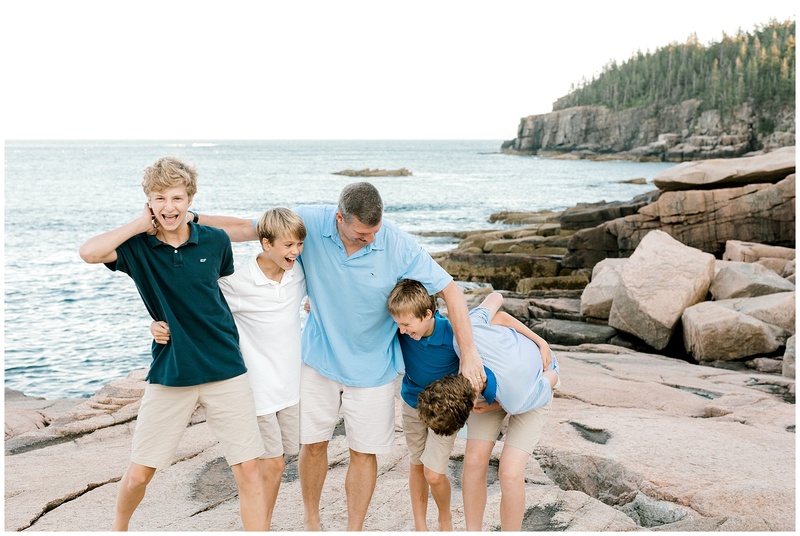 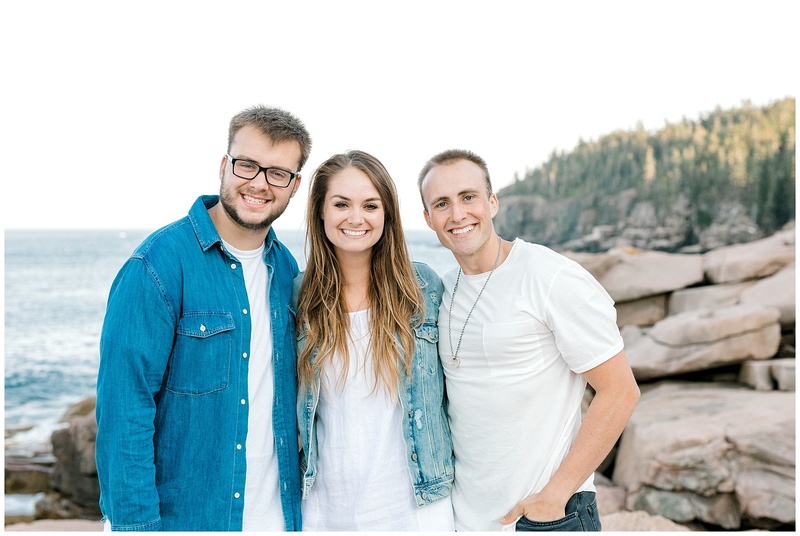 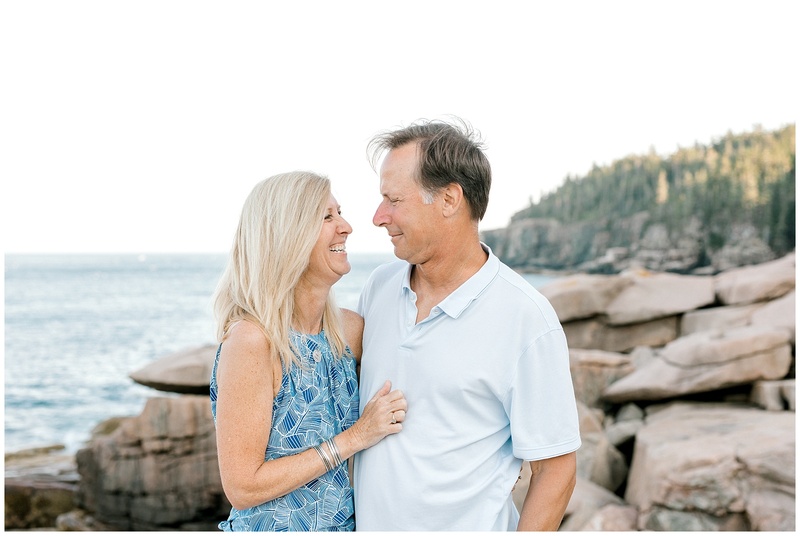 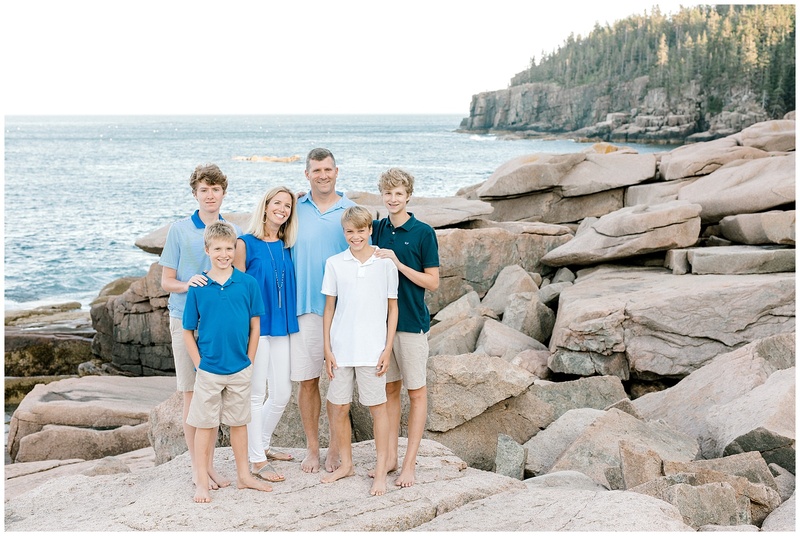 They wanted a classic Maine coastal landscape for their family portrait session in Acadia, and we were able to find the perfect spot on these rocky cliffs along the Park Loop Road. 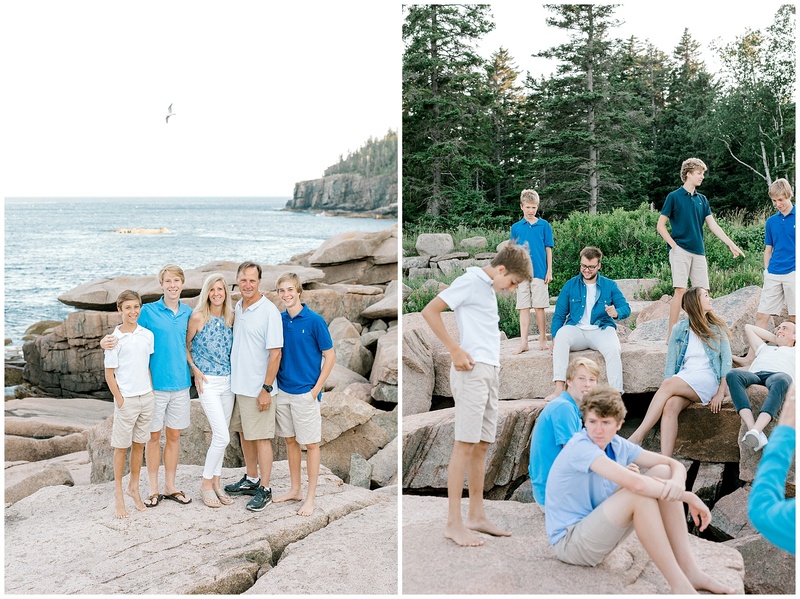 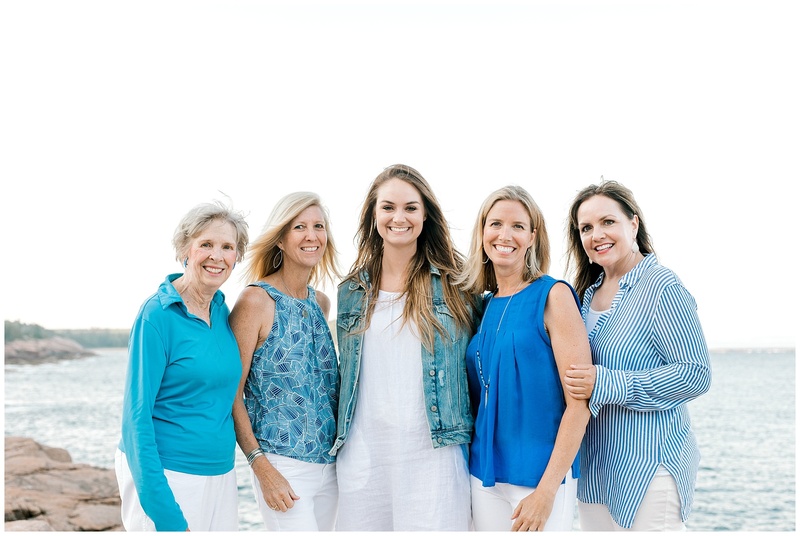 It was a beautiful summer evening, and we were able to get some gorgeous family portraits! 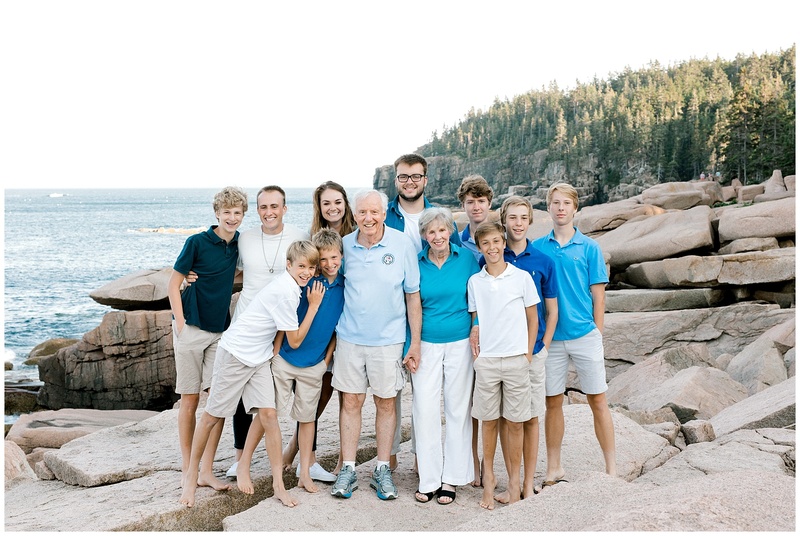 First up, below is my favorite picture of the grandparents with all 10 grandkids! 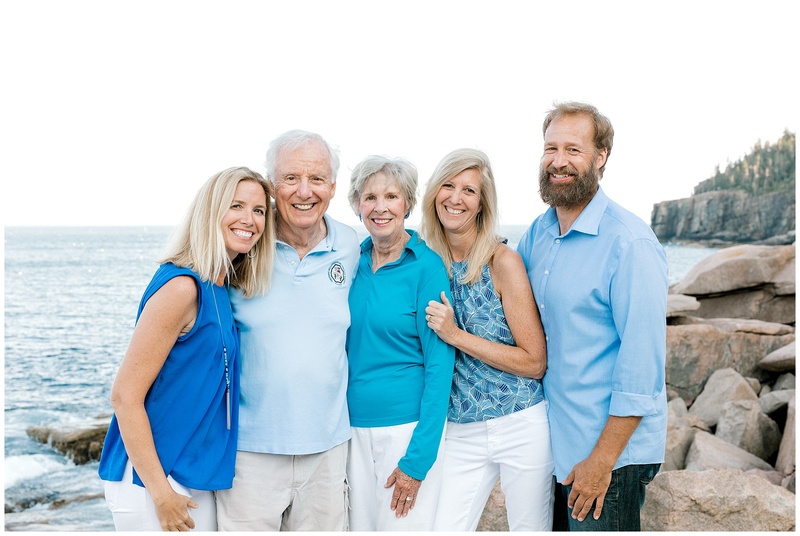 Below, I love this photo of Grandma and Grandpa with their children! 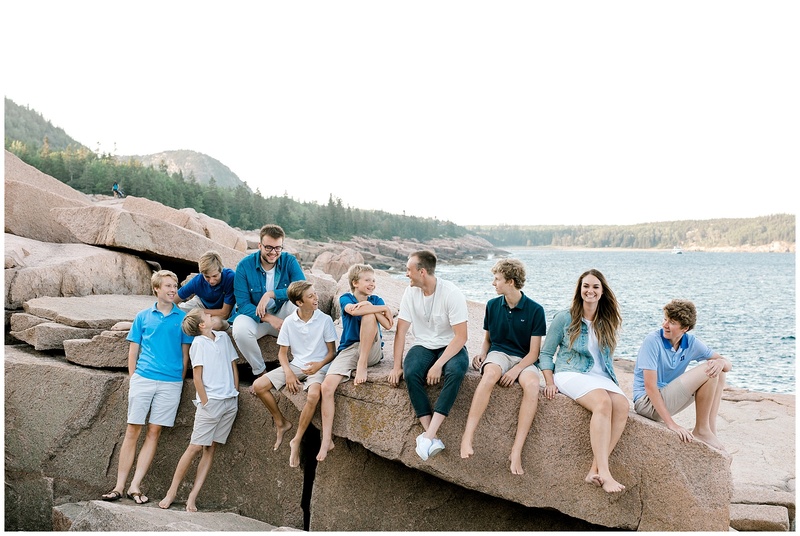 One more big family shot at the end of the session! 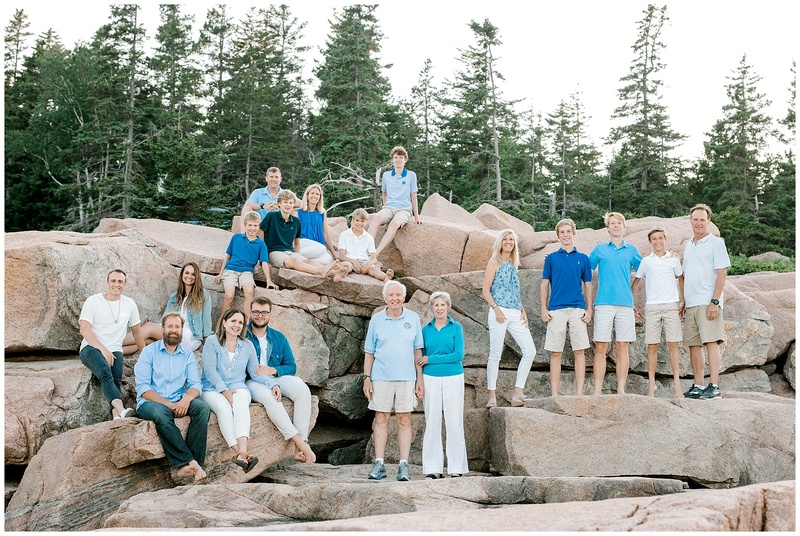 It was so much fun working with this big family, I hope they had as much fun as I did!